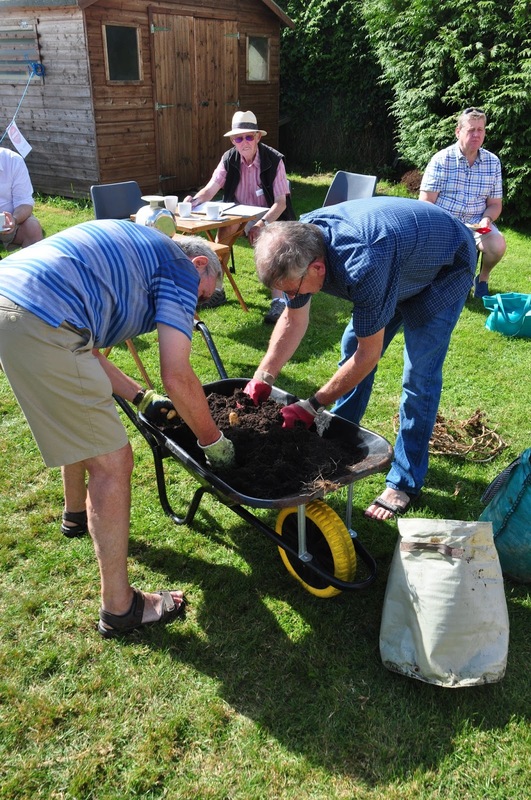 This blog enables members of the Society to share information about any aspect of gardening, and receive information sent by the Royal Horticultural Society and other sources, as well as find out about Society events. 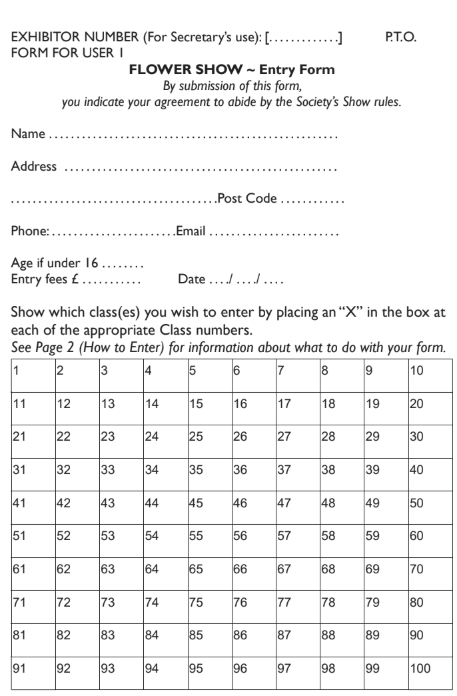 Here is the Schedule for this year's show - good luck with your entries. Advice about what judges may look out for in each section was handed out at the Spring Show. I will put a copy of that on here shortly, so do look back. 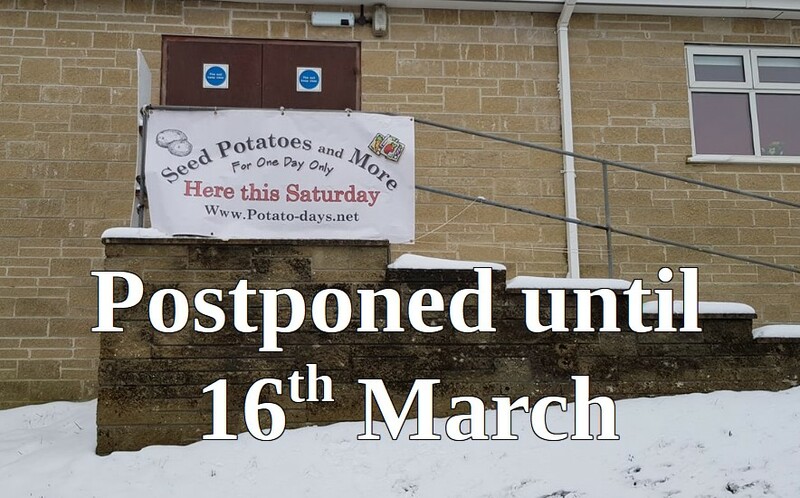 Remember last month - Potato Day had to be postponed because of snow? Brunches, lunches, cakes and Children's activities. Not just potatoes bu a range of seeds plants and later season things for us to grow and of course the Potato Competition. This event was re-arranged from 2nd February due to weather conditions. We had a very successful Show this year with about 630 entries. 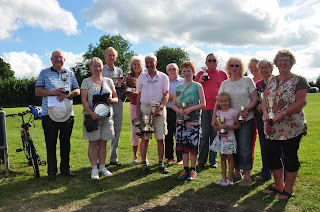 Congratulations to all our winners but also to everybody who took part. The Hall looked amazing and it was good to see friends, relatives and neighbours all enjoying themselves together. A great community day out . 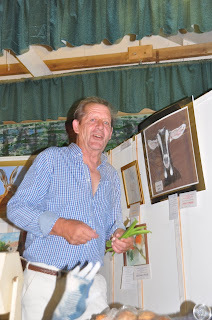 Helped by sunshine and excellent teas the Show this year was again a great success. There were more entries than ever-over 850 in total and in excess of 150 from Children at Broadwindsor School. 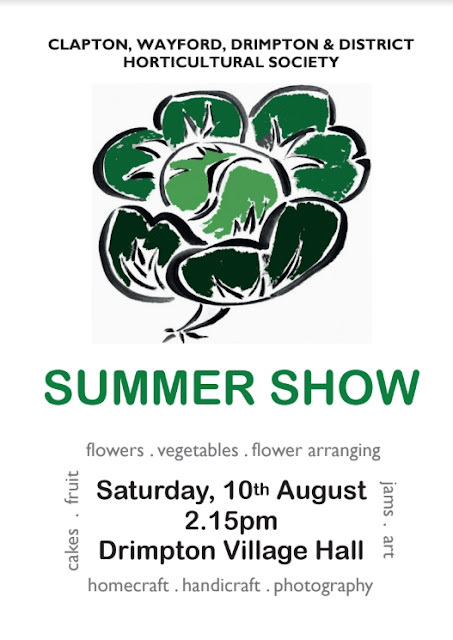 The Hall looked fantastic with masses of beautiful flowers and the most amazing array of vegetables. 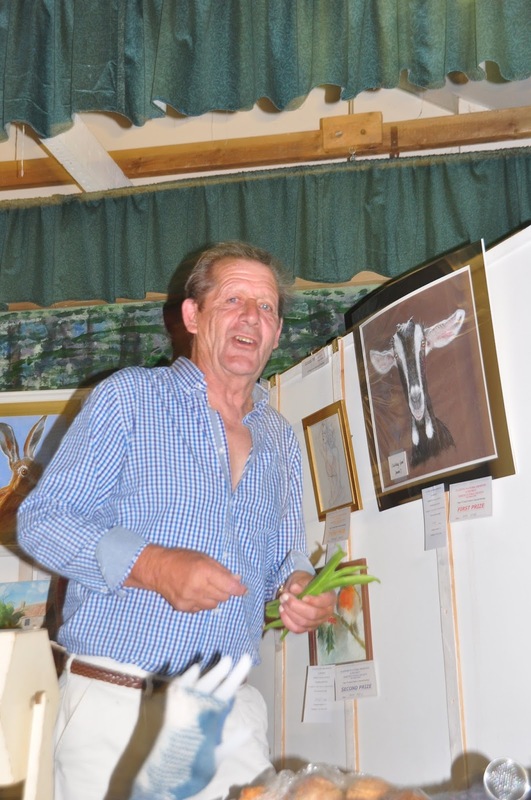 Exhibitors came from around the local area as the Show has a first class reputation . The marquee was decorated with children exhibits the birthday cards for the Queen being a personal favourite of mine. 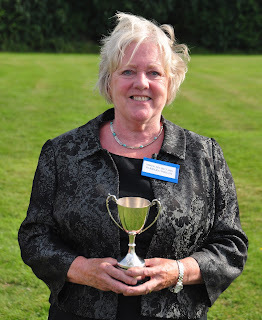 This was Barbara Wrights final year as Show Secretary and much of the credit to the show this year must go to Barbara. The role involves so much more than the title suggests involving organisation, communication , innovation and leadership and Barbara has fulfilled all the facets of the job admirably. Prior to being Show Secretary Barbara was Secretary and she has given 10 years of excellent service to the Club. 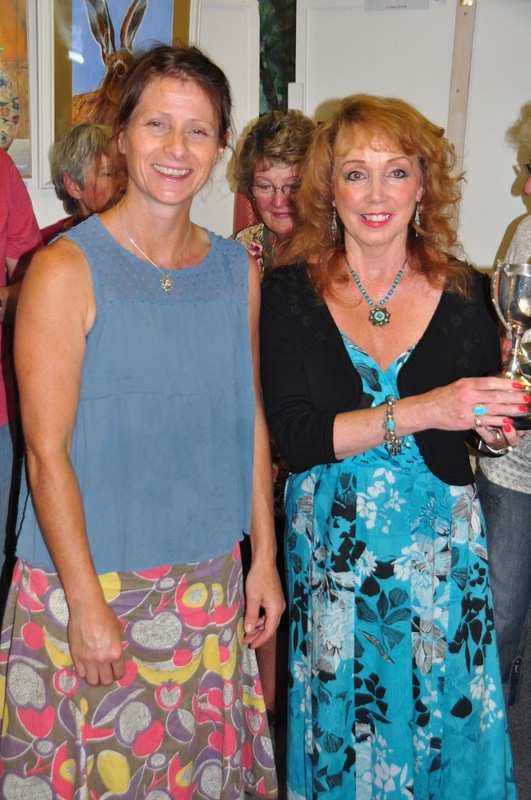 A final thank you to all members of the Society and local community. Without your support the Show would not happen. 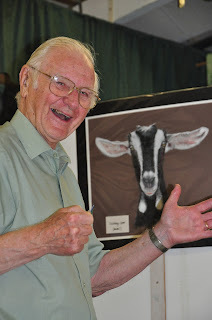 To the exhibitors, the Marquee team, cake bakers, tea servers, stewards, car park attendants, village hall committee and so many other helpers we extend our thanks. Ian Hallett, Chairman of Clapton, Wayford, Drimpton & District Horticultural Society tries on "the chairman's hat" made by Floe Brown, age 6. Over 400 people entered the Show and everyone thoroughly enjoyed an afternoon bathed in sunshine. 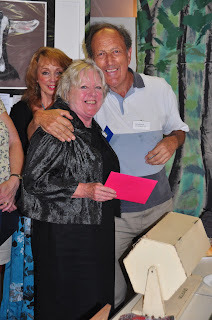 The standard of the entries was outstanding in every class. The judges not only appreciated the spectacular exhibits, they also thoroughly appreciated an excellent lunch, as did everyone! 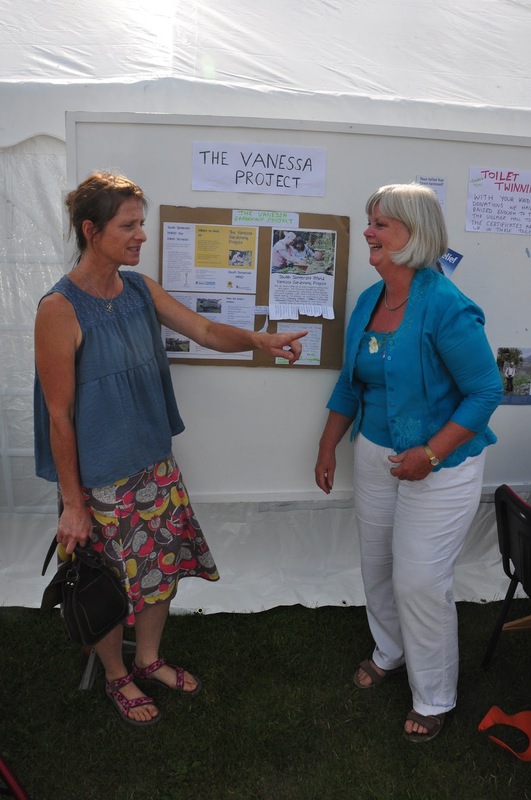 The Society this year supported The Vanessa Project, an initiative of South Somerset Mind and we were delighted that Doreen Smith, Business Development Manager, was able to come along and present the trophies to the winners. A first class show in every regard. 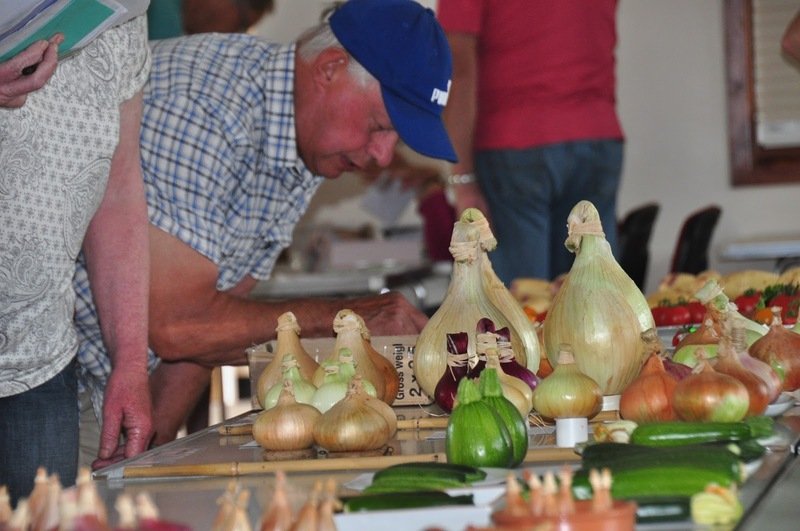 We are a friendly Society, with members and friends interested in all things gardening, and also cooking and arranging what comes in from the garden. © Clapton, Wayford & District Horticultural Society. Watermark theme. Powered by Blogger.